Things are looking good up here in the frozen north. The salmon fishing season started with a fluster, as it got off to a rather far better start than anyone had dared to hope for. Following a less than average grilse season last year, few were expecting the mws's in numbers. Yet they are running in force and have arrived early as well. Of course we hope that the good news will continue and be followed by the expected big grilse runs. One of the famous monster "Dinosour Trout" of Minni taken recently! The spring fishing was mixed. 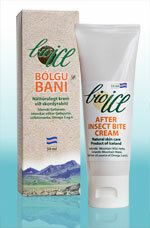 April was rather cold which affected our beautiful brown trout stream Minnivallalækur. 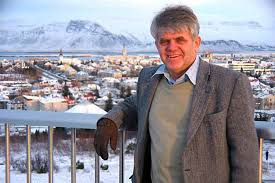 May then turned out to be the warmest in Iceland so far this century, and even looking far back. The fishing picked up and has been excellent since. 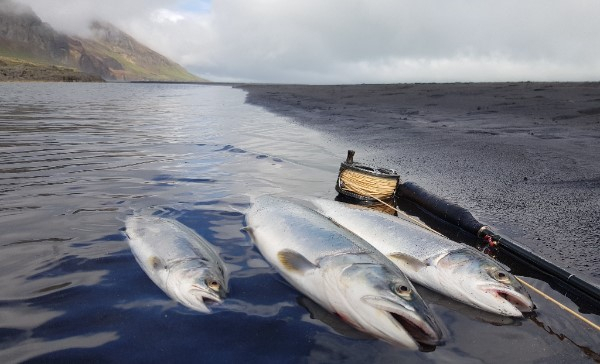 Also on the trout scene, sea char are arriving in numbers into the estuaries of Fögruhlíðará and Breiðdalsá. 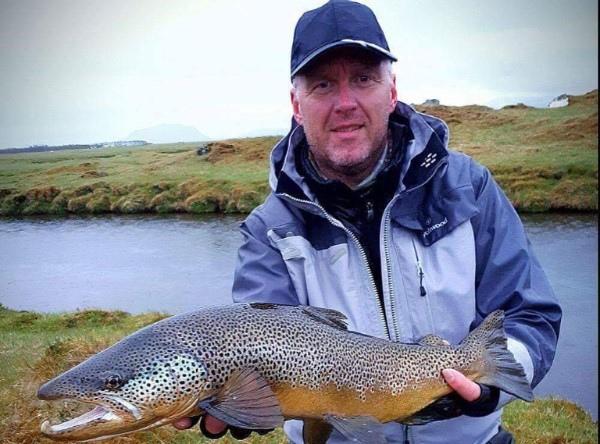 Our clients have been getting really lucky, and those venturing inland to fish the upper reaches of Breiðdalsá have been rewarded with brilliant catches of brown trout. Nice fresh sea-run arctic char from Fögruhlíðarós estuary in Jökla fishery. Brown trout fishing in Breiðdalsa has been great since begyning June when first anglers arrived as Jean Baptiste Morel from France experienced here:"We just left last night Breiddalsa river with head full of wonderful memories!We ve had a fantastic time there despite this horrible wind but with no less than 50/60 brownies caught in 48h hours. No monsters but several fat ones over 45cm...Suddy took care of us like a father! The lodge looks wonderful and a Top 5* level! " 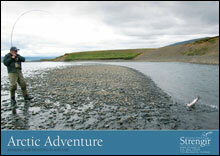 Our salmon fisheries are generally late starters and do not open until the end of June. 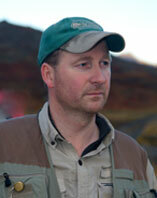 If our rivers will be in accordance with other Icelandic rivers they will have filled up of salmon long before that! We still have availabilities and would like to strongly recommend the opening days on Jökla, 1-5th July and we also have a few rods there at 11-15 and 15-18th July. Absolute prime time. 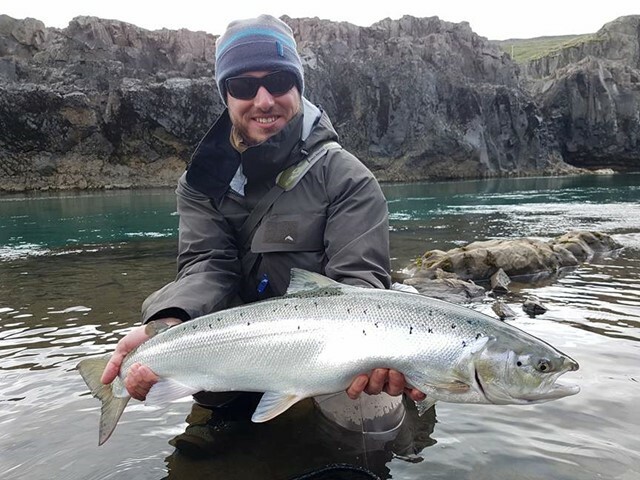 On the Breiðdalsá we can still squeeze in rods from 3-10th August and have other openings here and there. 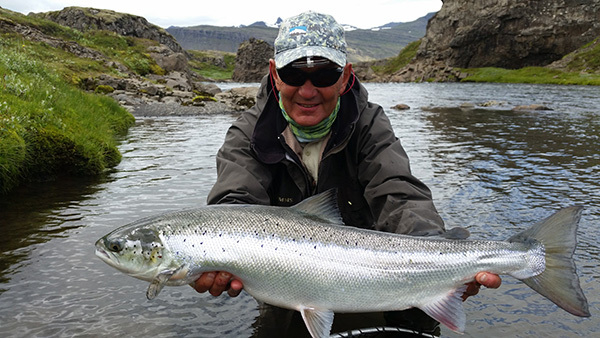 On the Minnivallalækur we have notable openings 9-12th July and 24-28th July, prime time for the dry fly fishing. Also, we would like to point out to you that late season trips to Minni have proved to be extremely productive for a number of clients.